Tata Housing is one of the premium developers of real estate in the country. The group stands for quality and trust. 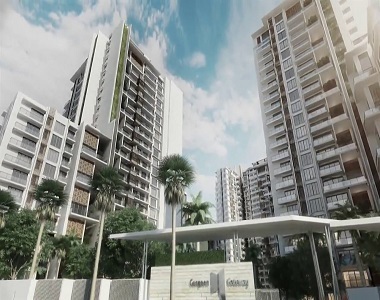 It is bringing in a luxury project by the name of Tata Gurgaon Gateway in Sector 112-113 in Gurgaon. Tata Housing already has made its presence felt in Gurgaon as it has a couple of projects that have been delivered and some more that are in the offing. Combination of Tata and Gurgaon is a heady one as on one side, Tata is one of the oldest and most respected business houses in India, while on the other side Gurgaon is the new age millennium city that has been at the forefront of real estate developments in the country. While Tata has redefined the corporate India with forays into varied industries, Gurgaon is transforming the way newer generation lives in urban India. Tata Housing Gurgaon Gateway is located at Sector 112-113 near the Dwarka Expressway. The project that would be spread over 22 acres of land would have 820 apartments on offer. The apartment sizes would come in 2 BHK & 3 BHK combinations. 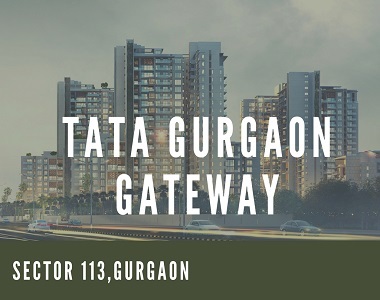 Each of the apartments in Tata Gurgaon Gateway Sector 112 is tastefully designed with special emphasis on optimum usage of space, green living, and spacious & modern interiors. There are all possible modern-day features like a large swimming pool, a gymnasium, meditation centres, kids’ play zones, day-care centre, multi-purpose halls, 24-hour Wi-Fi in the common areas, rainwater harvesting, and round-the-clock modern security system in the complex. Apart from these, the project also boasts of a Vaastu-compliant construction. There are unique features like double-height lobbies at the entrance of each block, imported marble in living rooms, split air-conditioners, etc. The project is truly a green project with ample spaces for greens all across the complex. Tata Gurgaon Gateway Sector 113 has also been rated gold-standard by IGBC (Indian Green Building Council). This property is located at an excellent location with all possible amenities at a stone’s throw away. The Delhi International Airport is a quick 10 minutes’ drive. All other daily and luxury needs like shopping centres, grocery stores, schools, medical centres, and entertainment hubs would be at walking distances once the entire area gets developed. The site is located next to an 18-hole golf course. To add to that, the proposed metro station is expected to be right across the project. The proposed diplomatic enclave is also planned next to the Sectors 112-113. Gurgaon Gateway Tata offers apartments of sizes varying from 97.57 sq.mtr (Carpet Area) to 125.96 sq.mtr (Carpet Area) . The price of the lowest apartment starts at Rs 1.61 crores while the largest one comes at Rs 2.61 crores. There are lucrative loan and payment plans in arrangements with various banks. 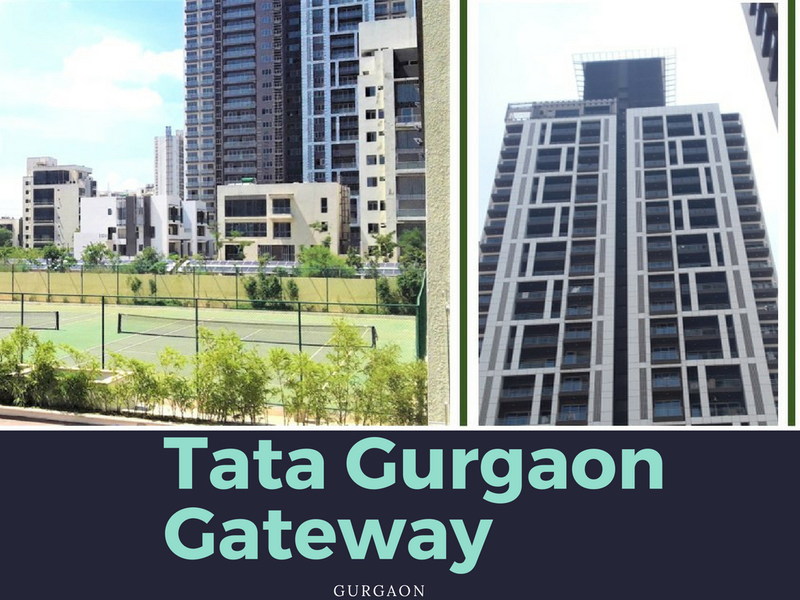 Tata Gurgaon Gateway is an excellent investment for those who are looking at buying a home that comes with the backing of confidence and trust associated with a Tata brand and that too at one of the most promising locations in Gurgaon. The project is designed by International Architects, HBD, Singapore. Each tower has been designed so as to give a feeling of height gradient even within a single tower. Near to upcoming India International Convention & Expo Centre (IICC), Dwarka. 7 Min. - BSF Golf Course. 15 Min. - Mount Carmel School. 15 Min. - Dwarka Metro Station. 20 Min. - Columbia Asia Hospital. 25 Min. - Ambience Mall. 30 Min. - Hotel Westin. 35 Min. - Rock Land Hospital. 40 Min. - The Indian Hish School.